WestJet has announced that Gregg Saretsky, President and CEO, has advised the time has come for him to retire from the company. Having found his successor, he has agreed with the company that his retirement will be effective immediately. Mr. Saretsky joined WestJet in June 2009 as Vice-President, WestJet Vacations, before assuming the role of Executive Vice-President, Operations, in October 2009. In March 2010, he assumed the role of President and CEO. Under Mr. Saretsky’s leadership, WestJet experienced its most significant growth period: the entire fleet nearly doubled in size, WestJet Encore was launched, the first code-share partnerships were introduced, wide-body aircraft were introduced and service to Europe was started, as well as the introduction of the WestJet Rewards program, including the WestJet RBC World Elite MasterCard, which has become the fastest-growing, award-winning loyalty and affinity card program in the country. “I am proud of the many great things we have accomplished together during my time as President and CEO, and I wish WestJet well in the next chapter of its growth and evolution,” said Gregg Saretsky. Current Executive Vice-President Commercial, Ed Sims, will assume the role of President and CEO beginning today. Mr. Sims has also been appointed to the Board of Directors effective immediately. Mr. Sim’s career spans more than 30 years in the tourism and aviation industries, encompassing airlines and tour operators, as well as air traffic control. He has worked in the European and Australasian markets, holding senior commercial and general leadership positions with Tui, Thomas Cook, Virgin Groups and Air New Zealand where he led the international wide-body business. 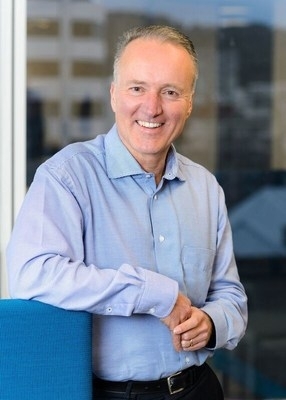 Before joining WestJet as Executive Vice-President, Commercial, in May 2017, he was CEO of Airways, New Zealand’s air navigation service provider.